If you’re a vegetarian or a vegan – or even just veg-curious – and have never gone shopping at an Indian grocery, you should! Not only does Indian cuisine have an enormous variety of vegetarian and vegan dishes, but you can find so many inexpensive staples at an an Indian grocery – like rice, beans, lentils, and spices. 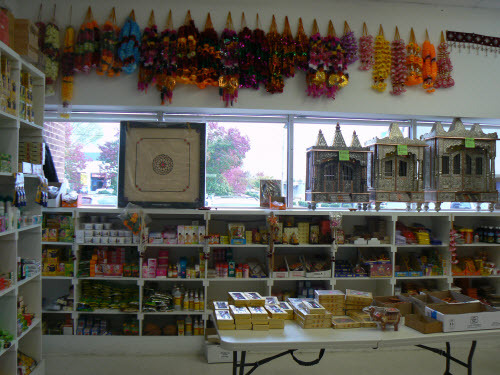 Your first time (or two, or three) at an Indian grocery can be confusing and overwhelming. There’s a huge variety, and a huge amount, of food packed into a small space. If you’re new to shopping at an Indian store, chances are you’re also fairly new to Indian cooking (or maybe Indian cuisine in general) and there’s a lot that may be unfamiliar to you! I understand … when I went veg a dozen years or so ago, there were NO Indian markets in Charlotte and only one Indian restaurant – Jaipur (on South Boulevard). It was only three years ago I entered an Indian grocery for the first time, and I remember how overwhelmed I felt! The lentil section alone rendered me speechless. Why is this store my favorite – and not, say, the nearby Patel Brothers? 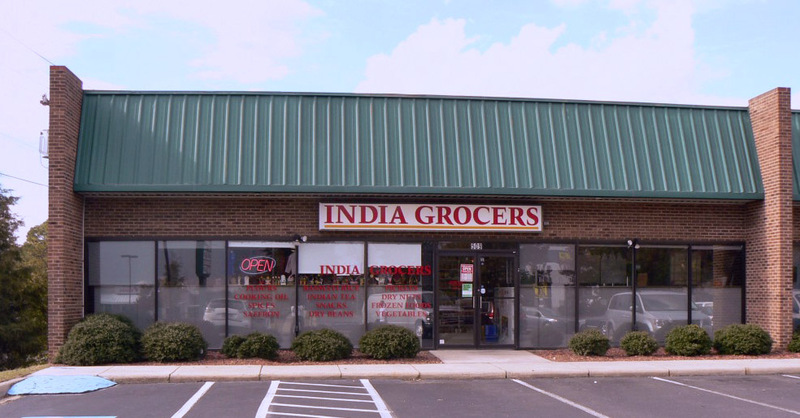 Well, India Grocers is clean, neat, well organized, a large variety of products at competitive prices, and – most importantly to me – the owners are very friendly and helpful, even to those customers who are not Indian! (I have to admit, sometimes Patel Brothers makes me feel very …. white.) Also, when possible I like spending my $$$ at a local business, not a big chain. So, allow this Irish girl to walk you through the typical aisles of an Indian grocery store! Frozen Vegetables – Some vegetables will be familiar (like spinach), but you will also find some that may be new to you! Take a moment to acquaint yourself with this section. Some tips: I usually buy the frozen small baby pumpkins (tinda) to make with basic precooked onion masala (more on that in an upcoming blog). I also buy frozen arrowroot (arvi) as I HATE peeling/dicing fresh arrowroot – it releases a sticky liquid that can sting your hands. I DON’T like frozen bitter gourd; it seems to be much more bitter than the fresh. Frozen Breads – There will be a vast selection of frozen breads – from rotis and chapatis (very similar) to naans to breads stuffed with fillings (parathas). 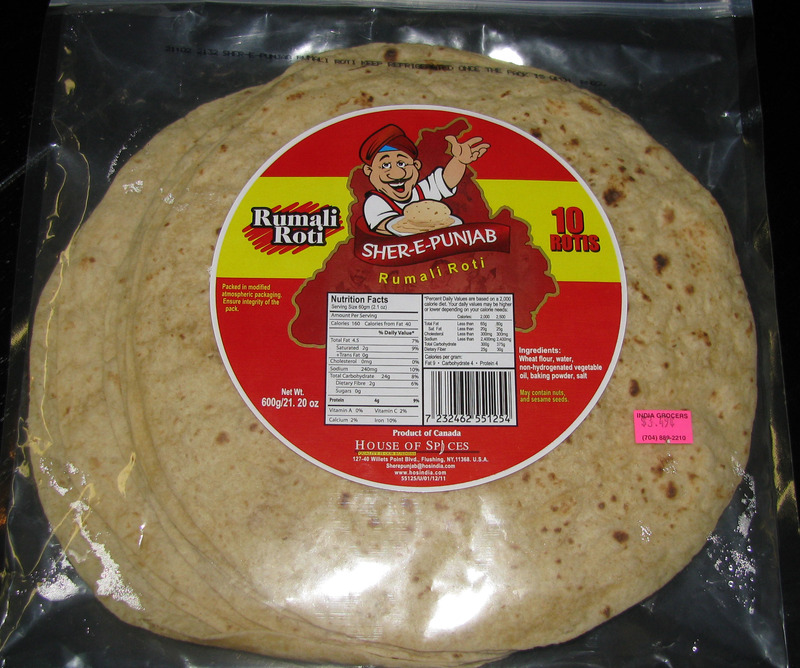 You’ll likely want to purchase some bread since, if this is your first trip to an Indian grocery, you’re probably not ready to start making your own rotis yet! Realize that frozen breads will have more oil and be higher in fat and calories than fresh breads. A bread that is pre-cooked and just needs to be heated (read the labels) will be easier for a novice than frozen dough that will actually need to be cooked on a tawa or a griddle. Some stores will also have a separate section for fresh bread – my preference, makes life easier! 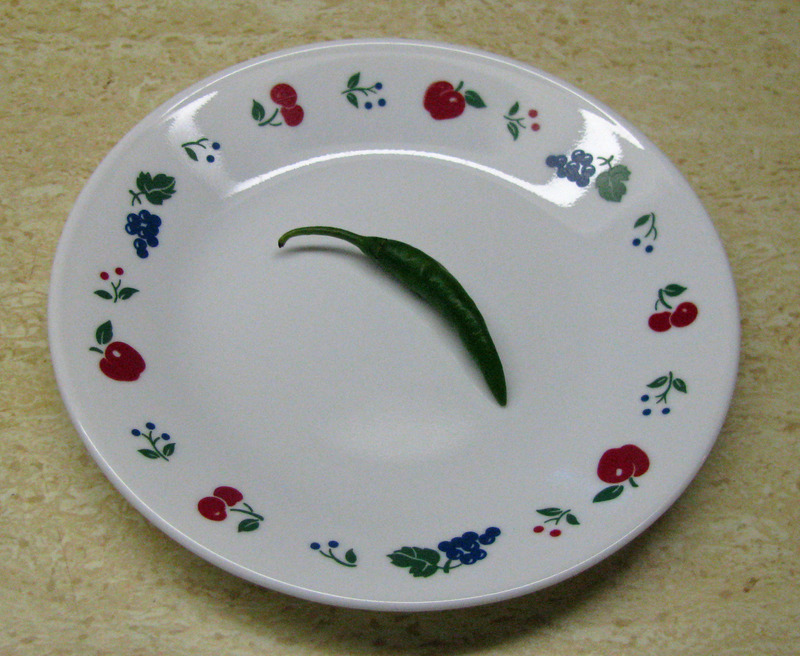 A green chili pepper. I usually pick up about a pound of these each shopping trip! Fresh Produce – I pick up my fresh green chili peppers here! (Stronger than a serrano pepper, more gentle than a jalepeno or habanero, I am totally addicted to these! I put them in EVERYTHING). I also usually grab a handful of fresh cilantro – it’s the perfect finishing garnish to many Indian recipes. Typically prices are great on tomatoes, limes, cauliflower, eggplant, and daikon radish. I pick up pale green bottle gourd squash, which I can’t find in any mainstream grocery, and also bitter gourds, which are much less bitter when fresh. Also watch for mangoes! Rice – This is one place the savings are extreme. I typically pick up at least a 10-lb bag of basmati rice, then decant it into large glass jars at home. The grocery will have many other sizes and types of rice as well. Flour – Usually found next to the rice. You don’t need to buy any this first visit, but do take a moment to note the variety! In addition to wheat and whole wheat, there is flour made of different grains – rice, millet – and flour made from legumes, like besan (chickpea) flour. 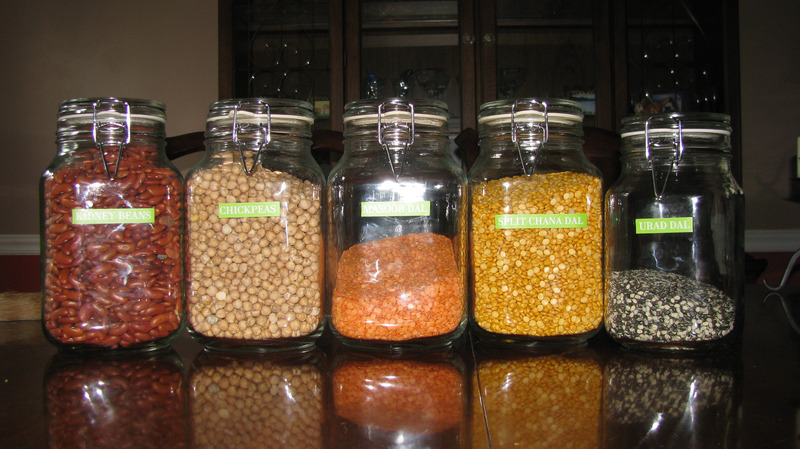 Dried Beans & Lentils – Another area where you can save a LOT of money opposed to mainstream grocers. A well-stocked Indian grocery will have just about every kind of dried bean and lentil imaginable, in a variety of package sizes. Start with the basics – red or light red kidney beans, chickpeas, and red lentils. Eventually you’ll want to start trying other kinds of beans and lentils as well. Again, store in airtight glass jars, both for freshness and to keep pests out. A Few Jars of Beans and Lentils from my Pantry. Spices – The spice aisle will be amazing, as will be the low prices. No tiny little jars here or people timidly helping themselves to just a “pinch” of spice! The basic spices I use for Indian cooking are turmeric, red chili powder, cumin seeds, and garam masala spice blend. Instead of a fancy, expensive blend for chai (spiced tea), just pick up some cloves and some cardamom. Yup, that (and sugar and milk and tea) is all you need for chai – anything else is icing on the cake. Worried the spices will go bad before you use them? You will be surprised how fast you use them – especially if you cook most of your meals at home (which you should be doing anyway as vegetarian/vegan). Store a little in your spice shakers or masala dabba (Indian spice box), and store the remainder in airtight glass jars. Pickles (Achaar) – Not anything remotely like American pickles, you use these to give bread some flavor, or add a pickle or two to dishes that seem like they could use a little somethin’. You really can’t go wrong with a jar of mango pickles. 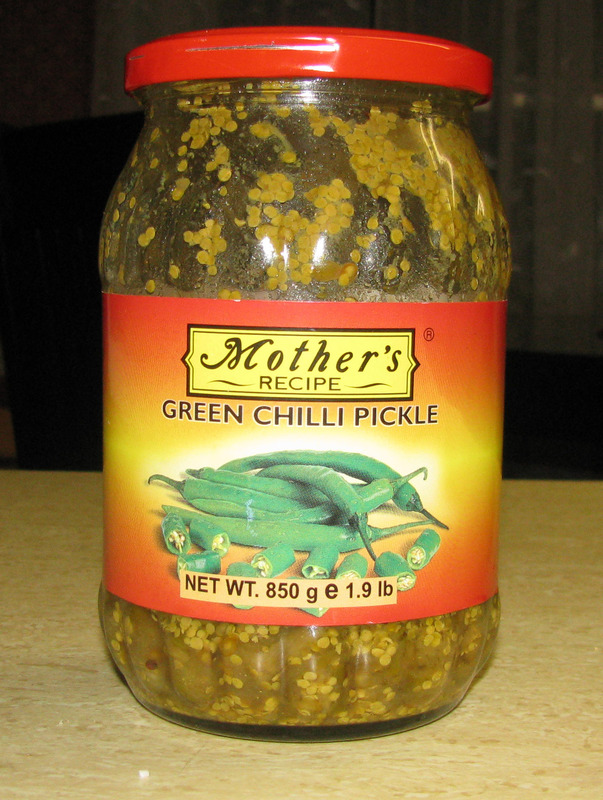 If you like your Indian food hot – really hot – try a jar of green chili pepper pickles. They are positively addictive. I like the Mother’s brand for both. Later, you can explore other flavors – everything from gooseberry to cauliflower – but the mango and/or chili pickles are all you need for now. 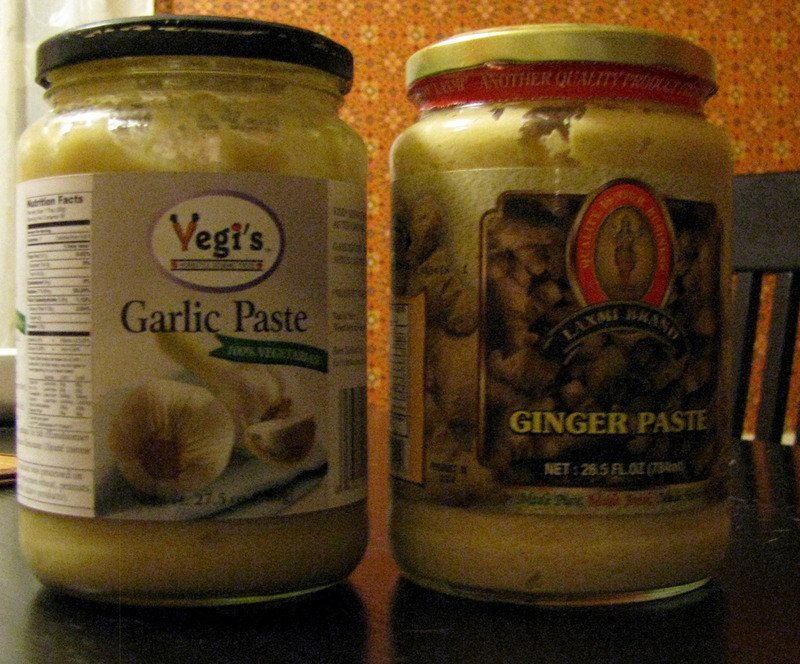 Garlic and Ginger Paste – Buy a jar of each – it will save you so much time when cooking! Seriously, you will use garlic and/or ginger in a majority of Indian recipes. You can buy these pastes separate or mixed – I like a separate jar of each for a bit more control over the flavor. These pastes also come in really handy for stir fries or for sauteeing tofu. I prefer the Laxmi brand for ginger – it is ground finer than other brands and the ginger paste does not have those ginger “hair” fibers that some brands have. Yuck! Chutney – You will have lots of chutneys to choose from, perhaps a whole wall of them. You may even decide to make your own chutney in the future, but for now, I’d start with a jar of mint chutney. If you’ve only ever had sweet mint – candy, toothpaste, gum, sweet mint jelly – you will be amazed how mint tastes entirely different when mixed with savory, not sweet, ingredients. A second choice might be a mixed chutney, with coriander and peppers. Use with your samosas or as a sandwich spread. 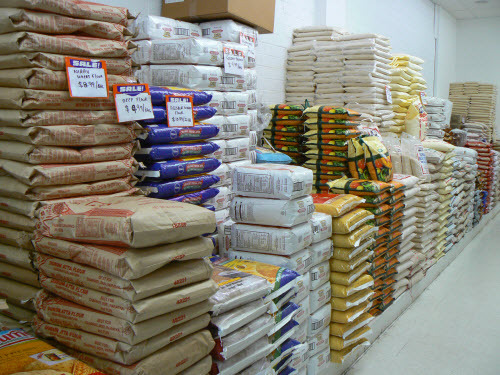 Boxes, Bags, and Mixes – You will find many mixes – everything from dosa batters to sambar soups to simmer sauces. Take a glance and see if anything catches your fancy. Be aware – some mixes may call for additional ingredients or special cooking implements. For example, a dhokla (cake) mix I bought also required mustard seeds, a pinch of asafoetida powder, sesame seeds, cilantro leaves, and a special pan for steaming on top of the stove. To make uttapams (a spicy rice pancake) from a mix, you will also need diced tomato, onions, peppers, etc. for toppings. Read the directions and ingredients list carefully before buying. Prepackaged Meals – Usually in the same aisles as the mixes. These meals are in antispetic pouches that can be stored at room temperature. Take a quick look – a couple of these can be handy to stash in your desk at work. Snacks – Usually there’s at least a whole aisle devoted to snacks, mixtures of crispy little noodles, nuts, puffed rice, roasted chickpeas, lentils, and spices. There are so many varieties and they all seem so similar! This chaat can be an aquired taste, and most of these are HOT! I recommend bypassing these your first visit; there’s so much else to take in. On later visits you may want to spend some time in this aisle and purchase a small bag or two. With any luck there will be some popular Indian music playing and a variety of random beautiful things to look at: masala dabbas (spice boxes), incense holders, bindi dots, Indian costume jewelry, Bollywood DVDS, sculptures of Ganesh and Krishna side by side with sequined tapestries of Jesus. You’ll also find some impulse items by the cash register – candies, and, if you’re lucky, some fresh samosas or other freshly made treat. Now – Venture forth and go shopping with confidence! If this Irish girl can do it, so can you! Hi, Just a quick question about the dry beans jar you have. Where did you get yours from and does it fit 4lb dry beans in there? Hi, Nikki! Sorry I didn’t respond to you sooner – I was out of country with limited access to internet. I buy all my beans jars from HomeGoods / Marshalls – they always have a huge variety to choose from and they’re cheaper there than anywhere else. Yes, some of the jars can hold 4 pounds of beans. Indian Product always in demand. this is very useful information. Thanks! 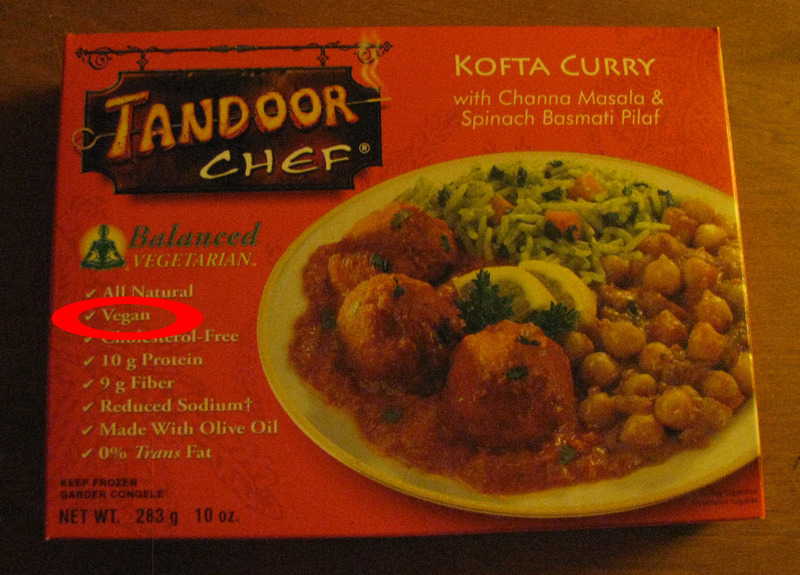 I think every vegan or vegetarian needs to investigate their local Indian & Asian markets. Your web site is great, by the way! The best in town love this store.